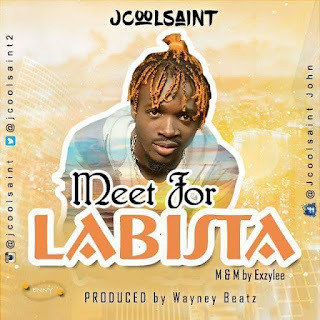 Jcoolsaint is an afrobeat, dancehall, hip hop and an RnB singer, dancer, rapper and a song writer. After releasing his debut single "antivirus" which was a hit has now jumped on another one for da club. "MEET_4_LABESTA is a dancehall track with the target of tearing the roof and heating the club. enjoy this and anticipate for more "HITS" from #jcoolsaint a.k.a #last_born_son a.k.a #aluwongson.